The Centre for Appearance Research (CAR) at the University of the West of England (UWE Bristol) has partnered with educational games specialists Focus Games Ltd to launch an exciting new resource to help children understand and respect the differences in people’s appearance. 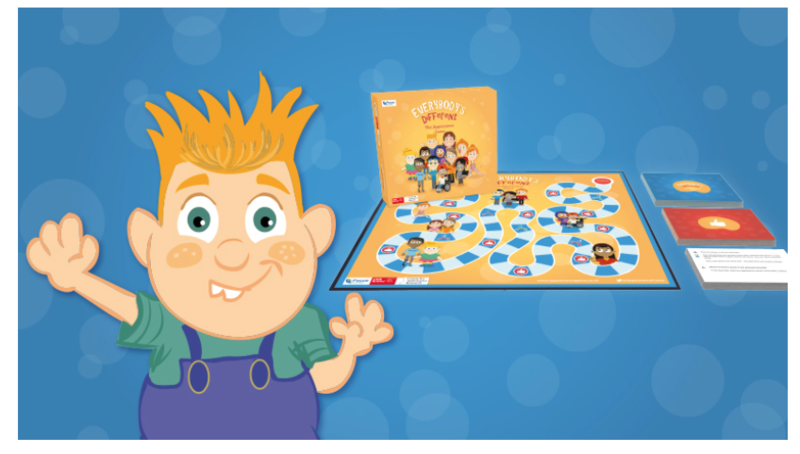 Everybody’s Different: The Appearance Game is an educational board game that aims to help young people to discuss and explore issues around appearance and body image. Many young people are happy with the way they look, but many are not. Factors including the media, and friends and family, can influence how they feel about their own appearance, and how they react to other people, including those who have a visible difference (disfigurement) of any sort. The game aims to help children understand that differences in appearance are normal, and people come in many different shapes, colours, sizes and appearances. Everybody’s Different: The Appearance Game is a team board game for up to eight players, aged nine and above. Two teams compete against each other, asking and answering questions, and completing activities which promote discussion around body image, appearance and differences. Questions and activities explore a variety of key topics including body confidence, visible difference, body talk, appearance related bullying, appearance ideals in the media and putting appearance in perspective. The game is a fun but informative alternative to traditional educational activities, and could be used by schools, groups or clubs, or for health promotion. For further information visit www.appearancegame.co.uk or @AppearanceGame on Twitter.